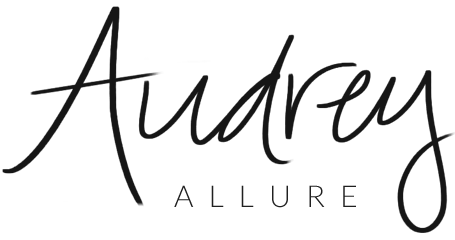 Audrey Allure: Jane Iredale Beach Beauty Giveaway! Jane Iredale Beach Beauty Giveaway! I am teaming up with one of my favorite cosmetic companies, Jane Iredale, to give away a beach beauty kit for one of you lucky readers! What better way to enjoy summer with some great goodies to help you maintain your golden glow? Giveaway prize includes: Tantasia (2 deluxe samples, a natural 2-in-1 self tanner & bronzer); Powder Me SPF (a deluxe sample of a dry mineral sunscreen for face & body); LipDrink SPF15 (deluxe sample of a quenching fruit-infused protective balm for lips); POMMIST Hydration Spray (full size of a refreshing spritz with UV protection pomegranate that sets makeup and soothes inflammation, and a Jane Iredale clear cosmetic case! All of these products are suitable for all skin types so go on and enter!! Contest ends Friday, July 19, 11:59PM. Open to US residents only. Winner will be chosen randomly. Good luck! That dry sunscreen is all kinds of intriguing. Count me in! The lipdrink sounds pretty cool. Good luck to the entrants. Oh yeah they make great products I use their pressed mineral foundation. Amazing giveaway! I've completed all the requirements!! Woohoo!! Followed you on bloglovin and followed Jane on twitter. I also liked both facebook pages and already follow you on twitter and instagram!! So nice giveaway. wish everybody luck! When you have a chance please welcome to stopping by my blog:) Love to see you there! These sounds like amazing products, great giveaway!Thanks for your kind comment sweety, have an awesome day! hey cutie thanks for stopping by my blog. Following you on all your sites. Hope you follow me back I would love to have you! Ooh! Awesome giveaway! I've wanted to try Jane Iredale for a while now! Thanks for the giveaway Audrey! I want to be a Jane Iredale beach beauty! Aw, too bad I can't enter because it's a great giveaway! Good luck everyone. I follow you on bloglovin and twitter and her on twitter! I am really excited because these products look amazing!